Families in Twickenham are preparing an exhibition for the Stables Gallery at Orleans House Gallery, that will be almost entirely contructed from recycled materials. The project, artplay 3, will involve families across the borough, in particular young parents and their children, working with artist Sarah Richardson, in the creation of an exhibition for under 5's on the theme of House and Home. 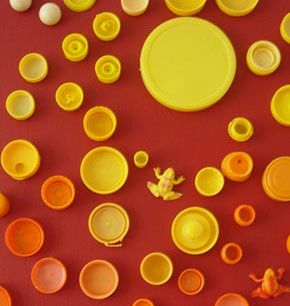 Inspired by the âfound objects' that animals and birds use to make their homes and the packaging that too often ends up being thrown away in our homes, the exhibition aims to inspire families to find new and creative ways of re-using their ârubbish' as well as teaching children about recycling. The hands-on, interactive exhibition will feature colourful installations in different zones, contrasting outside and inside, and exploring colour, number and shape.